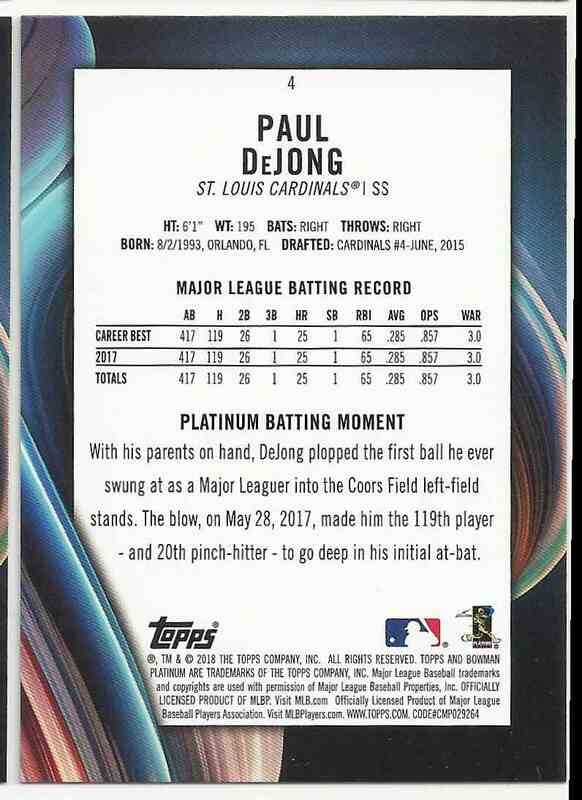 This is a Baseball trading card of Paul DeJong, St. Louis Cardinals. 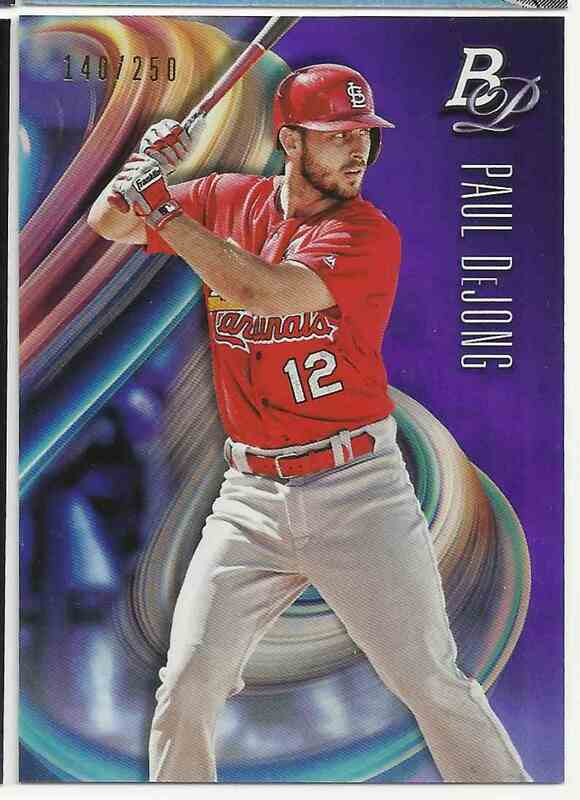 It comes from the 2018 Bowman Platinum Purple set, card number 4, serial numbered 140/250. It is for sale at a price of $ 1.50.